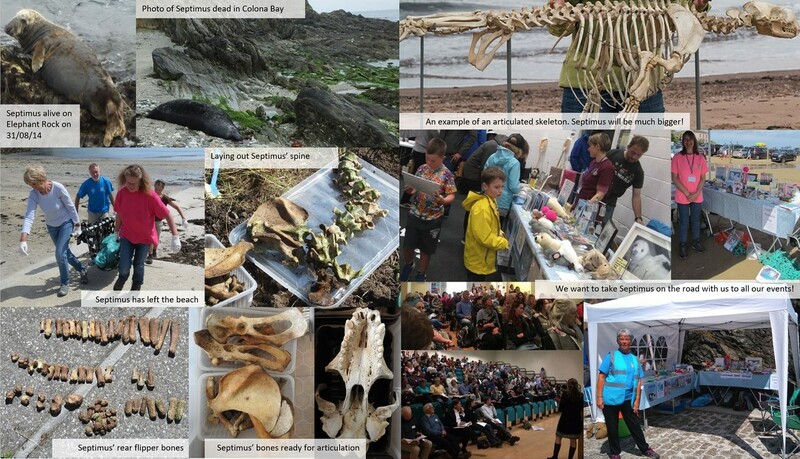 Septimus was retrieved after his decomposition had been monitored for 100 days on the beach. Rob and Sue found a safe place to leave Septimus until he was just bones. And after two years, Septimus was painstakingly exhumed and cleaned by Rob and Sue. 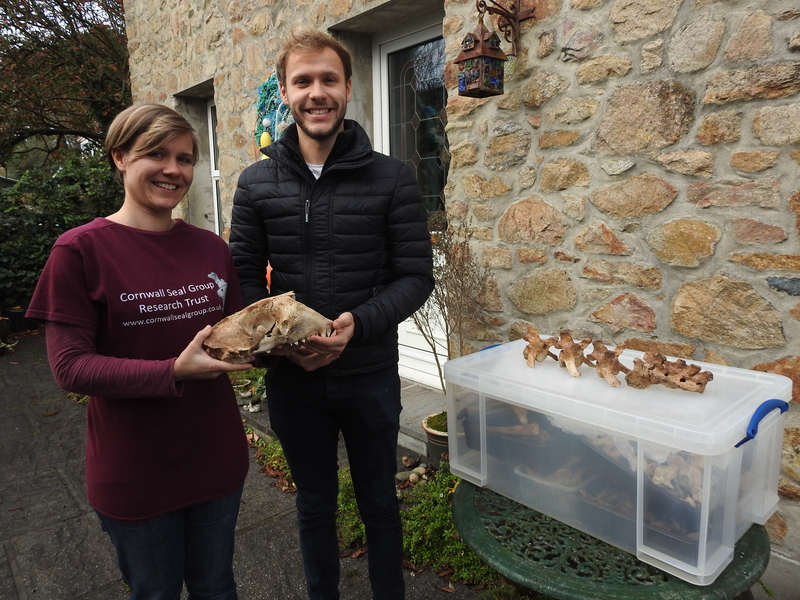 Richard Sabin curator of Marine Mammals at the Natural History Museum advised CSGRT about an expert who could assemble Septimus’ skeleton for display and transport. A call to help us fund Septimus’ articulation was made and thanks to many passionate people he now is in the process of being made for us! We have Septimus’ story from his life, through death and into his life ever after as a truly incredible educational resource. We look forward to accompanying Septimus on our Seal Squad XP Roadshow over the coming year in the knowledge that he will outlive all of us. Septimus’ story is only just beginning… we are excited about unveiling Septimus (at 2.41m – the third longest dead seal ever recorded in Cornwall) and revealing his truly incredible gobsmacking secrets at an event near you soon. We couldn’t have done this without your generous donations. Particular thanks go to: Animal Friends; Peoples’ Postcode Lottery: Postcode Local Trust; PV Keane Walker; Cornwall Mammal Group; Joyce and Barry Williams; Coastwise; Sue Sayer; Rob Wells; Karen Wells West; Alan and Julie Regan; Chris Lassam. I first met Septimus not long after I had attended a talk by Sue Sayer of CSGRT and I was starting to take an interest in seals. During my first encounter with this individual I had no camera and looked for details to help with identification – as all our seals have different markings. Apart from a small scar on his left thigh, the only other feature was that the seal’s nasal septum (the cartilage twixt the nostrils) seemed to be white. I christened the seal Septimus White as his Septum is White. It was prompted by this sighting that I ordered a new camera which arrived a couple of weeks later. Thank you Septimus for goading me into buying the new camera! It has taken many thousands of pictures of seals for CSGRT.